(TibetanReview.net, Mar29, 2017) – A faction of a terror group in India’s northeastern state of Assam being supported by China has warned Tibet’s exiled spiritual leader, the Dalai Lama, to refrain from criticizing Beijing during his upcoming three-day visit to the state beginning Apr 1. Paresh Baruah, leader of a faction of the banned United Liberation Front of Assam (Independent) said his group “won’t tolerate India’s views to be propagated from Assam’s soil”, reported ndtv.com Mar 28. He has maintained that Assam was culturally close to China and the Dalai Lama should not cause any setback in bilateral relations. Paresh is known to be hiding in China and his group is said to run training camps in Chinese territory. Also, in an open letter, president Abhizeet Asom of ULFA (I) has called on the Dalai Lama “not to utter” any words in “private or public” against China. “China has always been a friendly neighbour of ours and the relationship between China and Assam is truly very deep in linguistic and cultural heritage of the two nations,” the letter was quoted as saying. The Ulfa warnings came days after China had voiced displeasure over the Dalai Lama’s planned visit to the border state of Arunachal Pradesh over Apr 4-12, saying by allowing it, India was risking “serious damage” in ties between the two nations. China’s foreign ministry has said India was “fully aware of the seriousness of the Dalai issue and the sensitivity of China-India border question”. “Under such background if India invites the Dalai to visit to the mentioned territory, it will cause serious damage to peace and stability of border region and China-India relations,” its spokesman Geng Shuang said earlier this month of March. New Delhi has already said the visit was not political and should not be taken as such and that the Dalai Lama, a respected spiritual leader, was free to visit any part of India. 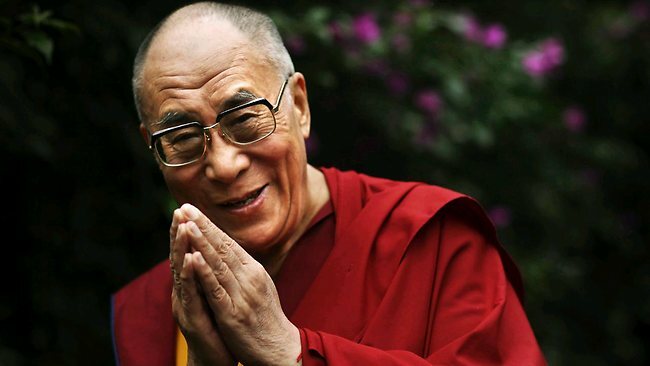 The Dalai Lama is scheduled to deliver a series of lectures in Assam’s capital Guwahati. He will then visit Tawang in Arunachal Pradesh. He is expected to deliver a talk at IIT- Guwahati on Apr 2 and will also inaugurate an Assamese translation of the book, “My Land and My People”.